From the mountains of China to the warm waters of the Caribbean, sinkholes pockmark the surface of our planet. These phenomena – which almost make the Earth look as if it’s being devoured from within – resemble vertical caves and are home to a plethora of exciting discoveries, including unique floating islands, strange stalactites, rare plants and endangered animals. Mysterious-seeming as well as awe-inspiring, these natural occurrences attract scientists, tourists, BASE jumpers and divers from all over the globe. 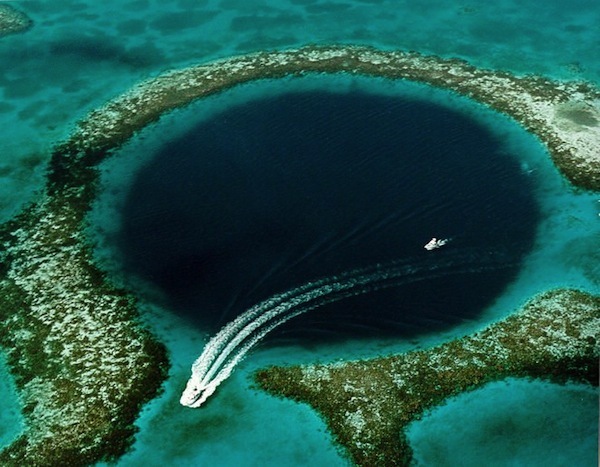 Here’s a look at 10 of the most incredible sinkholes in the world.